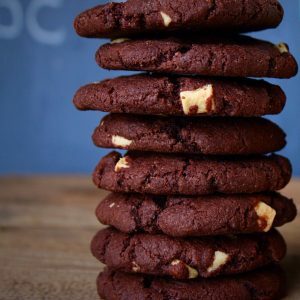 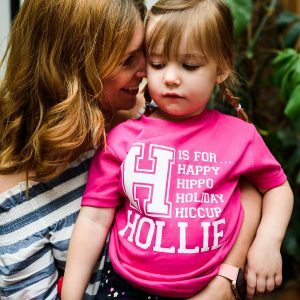 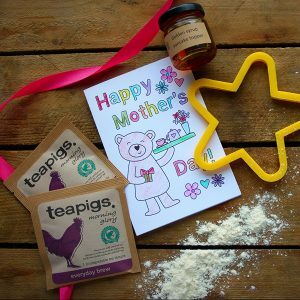 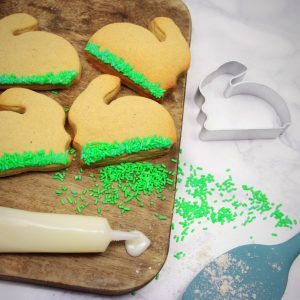 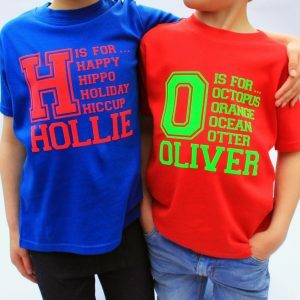 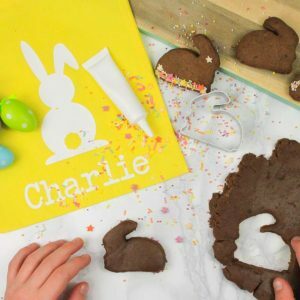 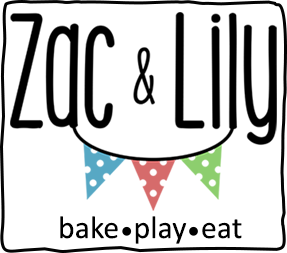 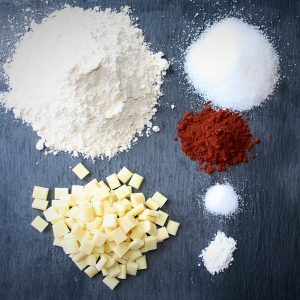 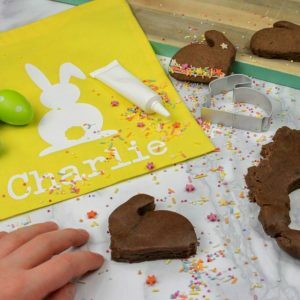 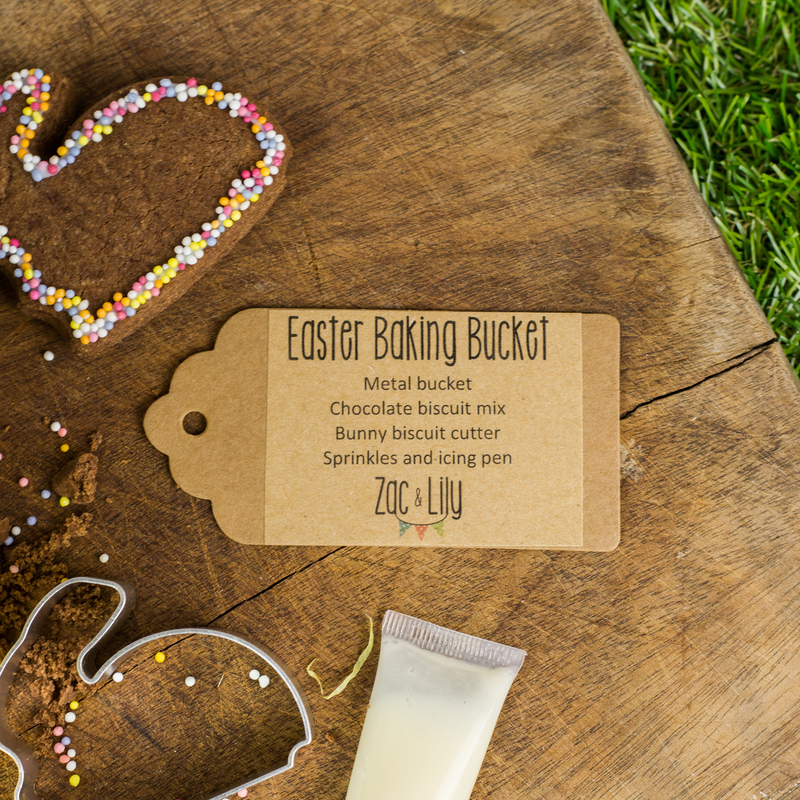 Your little ones will love baking up a storm this Easter and it couldnt be easier. 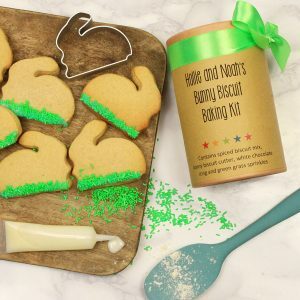 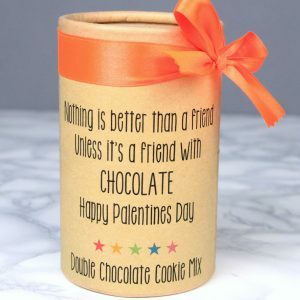 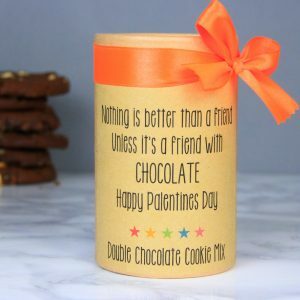 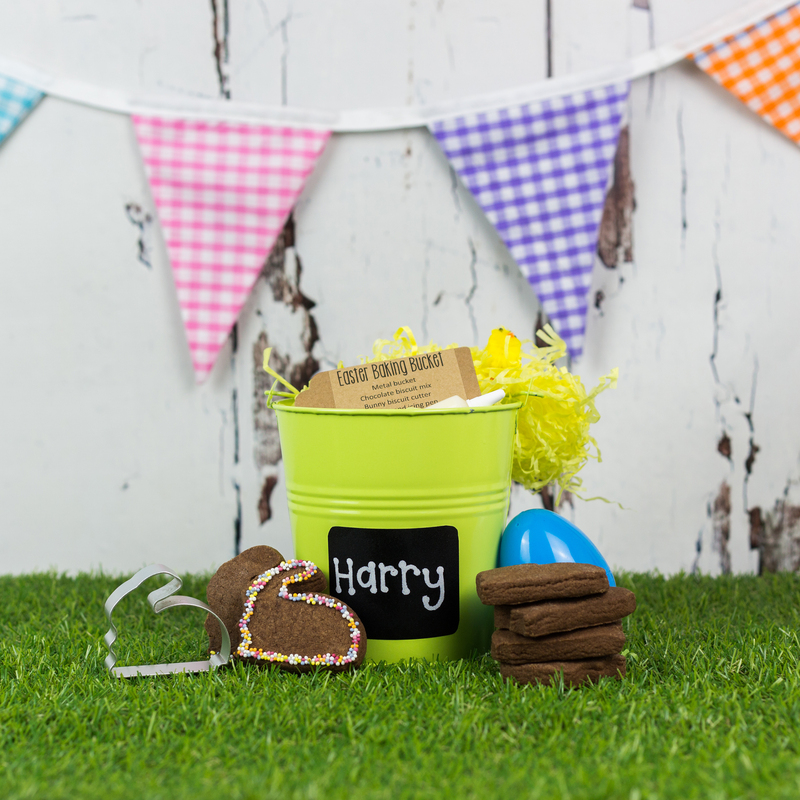 The bucket includes our delicious chocolate shortbread mix, bunny shaped biscuit cutter, sprinkles, icing pen, miniature chick and plastic egg. 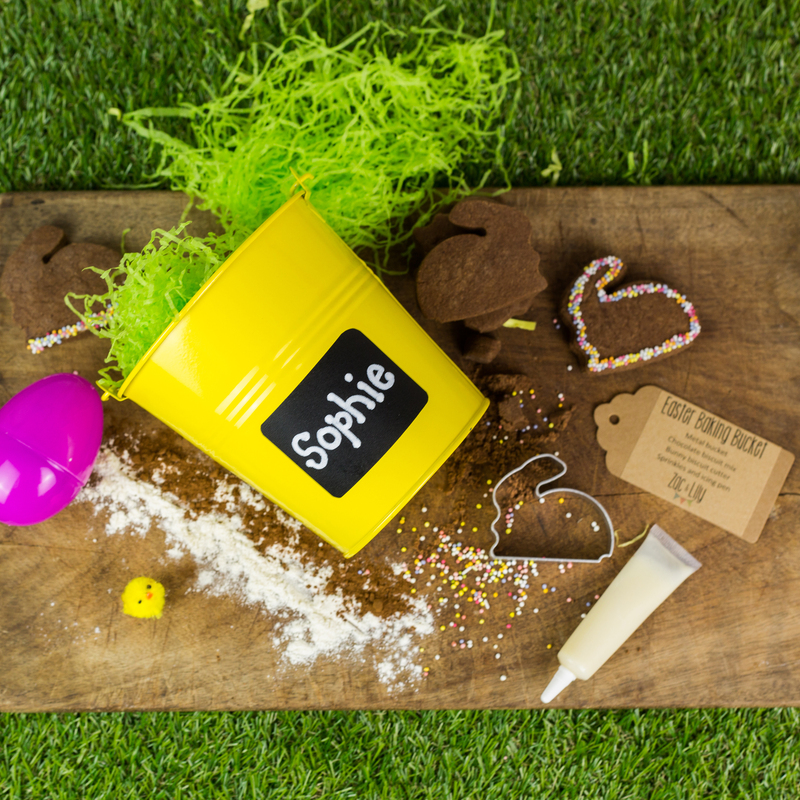 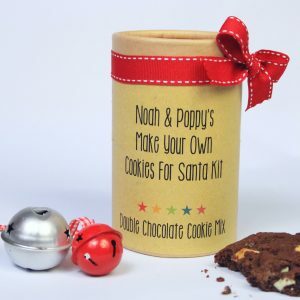 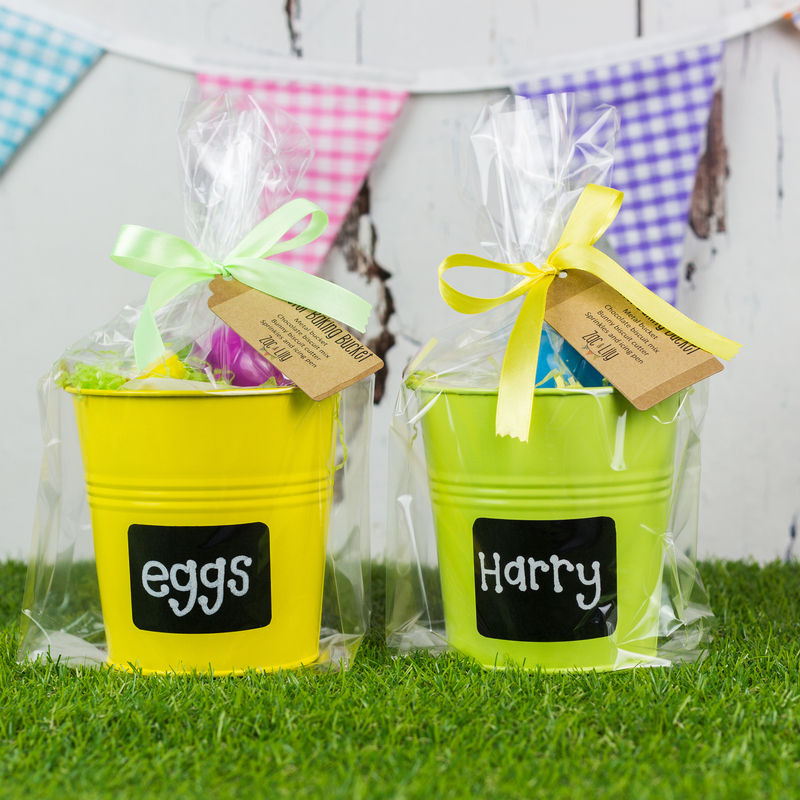 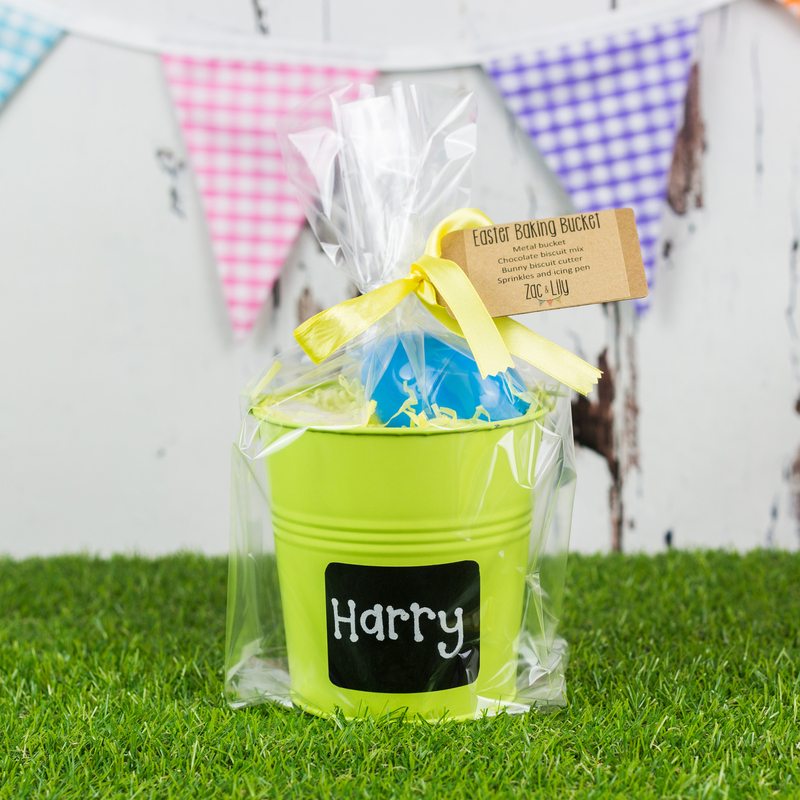 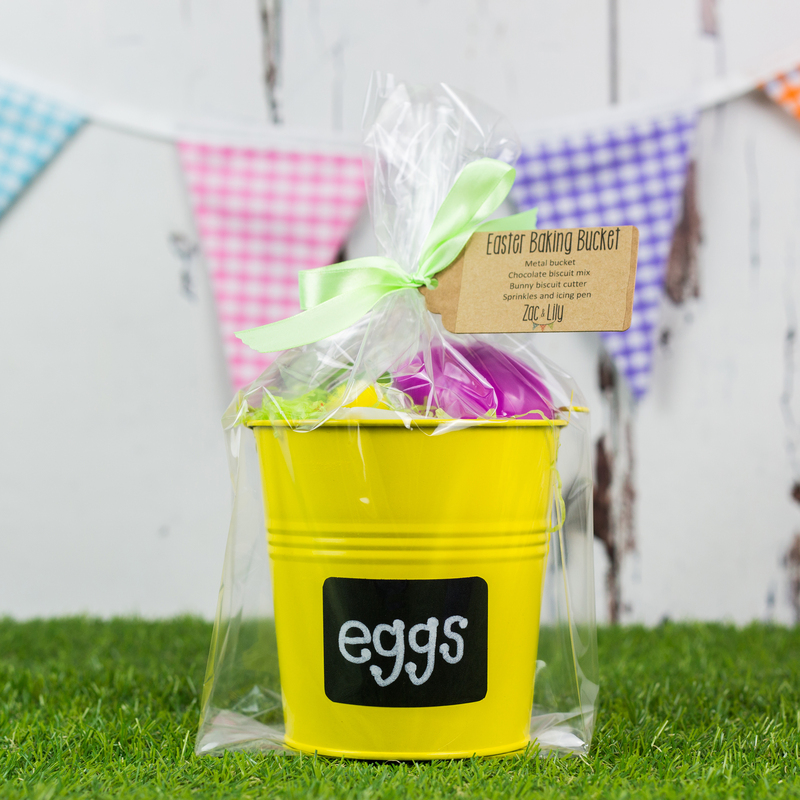 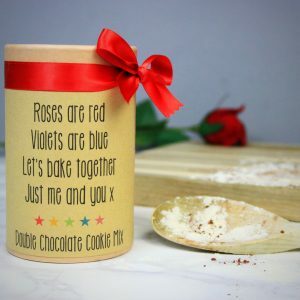 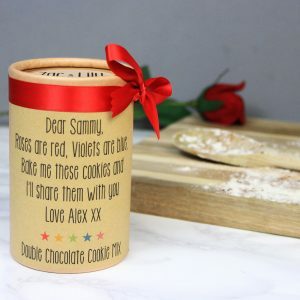 The tin bucket is perfect for Easter egg hunts and comes with a chalkboard label that we can personalise for you (wipes clean with damp cloth), when Easter is over you can use it again and again as a storage pot or why not grow some herbs inside for more culinary fun with your little one!